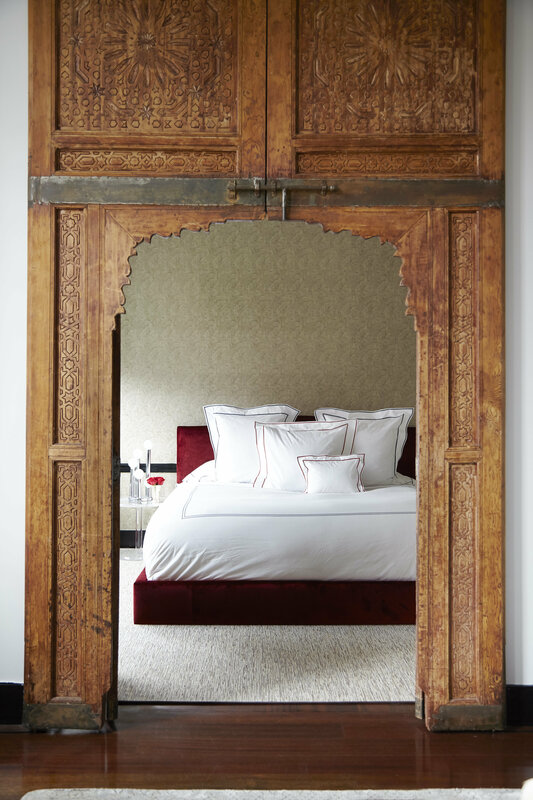 The carved wooden doors to Chad's bedroom are from Indonesia. The paisley wall covering is by Scalamandre, and the custom bed is upholstered in Lelievre's Sultan velvet. When Scalamandré president Chad Stark decided to redecorate, he went straight to the talented Sasha Bikoff to make his vision a reality. Sasha and Chad first met at the Kips Bay Decorator Show House. Contemporaries in the design world, their shared passion and similar approach to the industry inspired them to work together. Bikoff, a big client of Stark's industry-leading showrooms and brands, describes them as design and business yin and yang. A table made out of an Indonesian fishing boat with chairs covered in Scalamandre's iconic Le Tigre silk velvet. For his apartment in downtown Manhattan, Stark envisioned an exhibition of his companies' best. He wanted to bring that familiar showroom experience into his home. A "huge fan of Scalamandré, old world weavers, and all of Chad's products," Sasha was on board with the concept from the start. 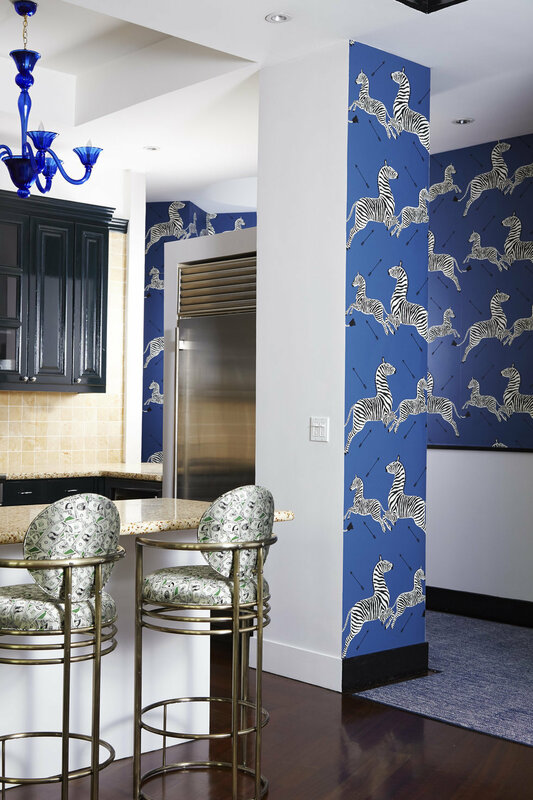 The kitchen highlights Bikoff's deft mix of the Scalamandre "Zebra" and Iris and Carl Apfel's "Midas Touch." "The most important aspect of design for me is...knowing who your client is," remarks Bikoff. "You need a deep understanding of who they are, what they are passionate about, and what they love in life" so that you can synthesize that inspiration and create something they can't yet imagine for themselves. To achieve this, Bikoff turned to iconic Scalamadré patterns (like the Zebras) in modern and unexpected colorways. Sasha brought the outdoors inside with touches like elk and moose horn. Having worked with Stark for a few years, the designer understood both his love for the outdoors and his ties to New York. "I think most designers would probably see Chad as a business guy and create a predictable monotonous modern male interior for him, but men have personalities too. They have goals and dreams for their interiors. 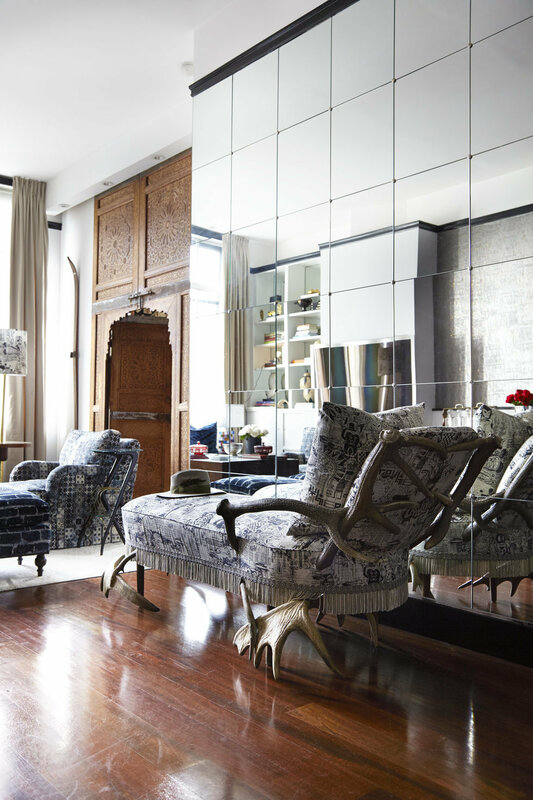 I always say that Chad is a patron of the design world; he is friends with the designers and always moving the industry forward in his roles at Stark and Scalamandré, and I felt his apartment should reflect that." 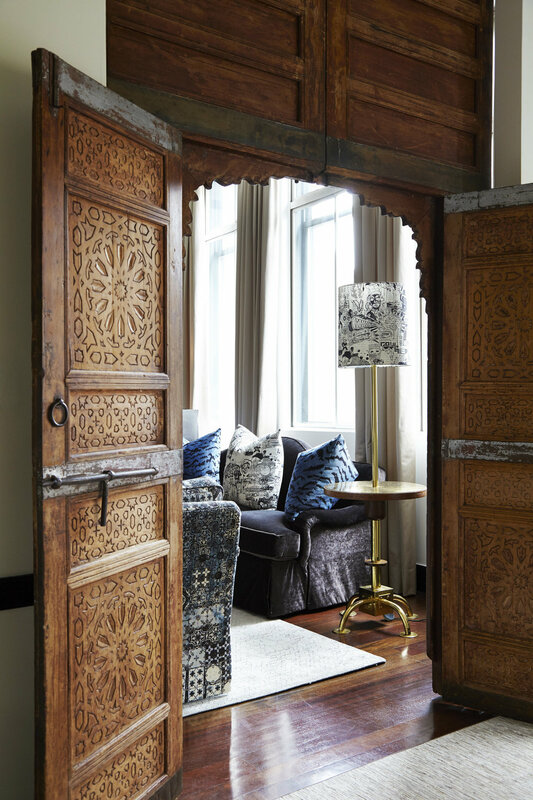 Large carved wooden doors connect the bedroom to the living area give the space an eclectic vibe. With access to everything in the Scalamandré and Stark showrooms, Bikoff was beyond inspired and pulled countless textiles for the project. "The whole thing ended up being a fabric driven story," shares the designer. 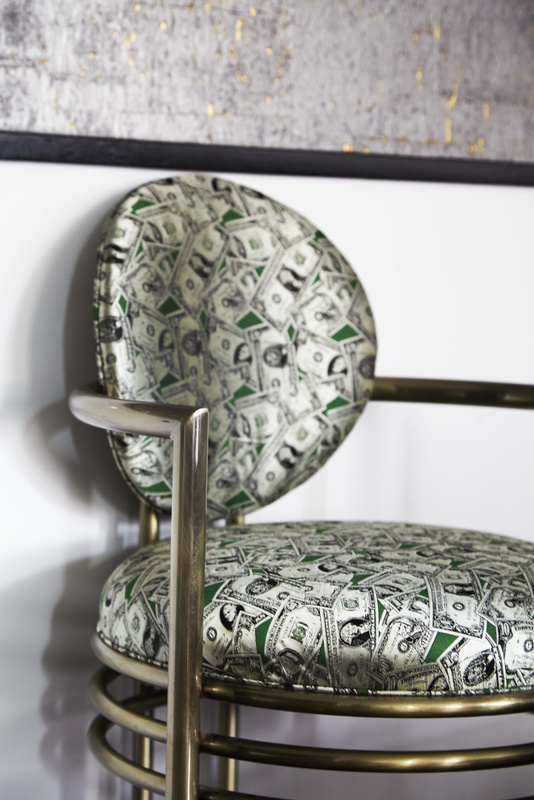 Out of print, Bikoff too the last piece of "Midas Touch" by Iris and Carl Apfel right off the showroom floor. Bikoff pulled archival fabrics that she had always admired but never used. When she discovered that Midas Touch—an archival fabric by Iris and Carl Apfel—was out of print, she pulled it from the showroom wall and claimed it for the project. She ended up using it on the bar stools, which steal the show. 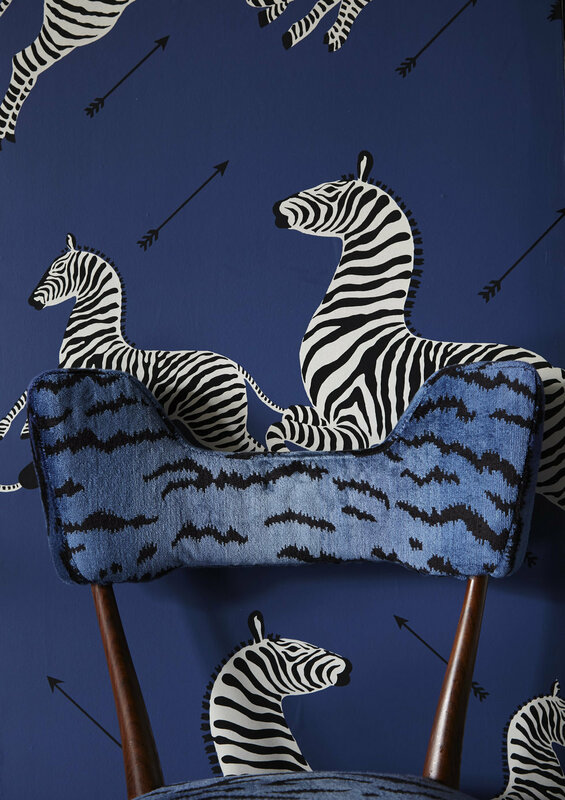 Le Tigre velvet and Zebras, both iconic Scalamandre designs. Stark and Bikoff both wanted to incorporate iconic Scalamandré fabrics like Le Tigre and Zebras. Although designers often use the iconic zebras in red, Bikoff selected the blue as a nod to the outdoors and the sky. She refers to Stark's place as "new world weavers." 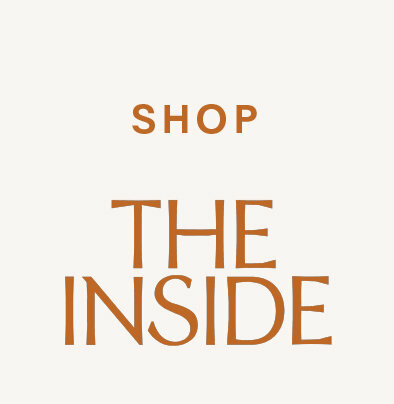 The pair carefully selected heritage fabrics, mixing them in a way that feels young and hip.